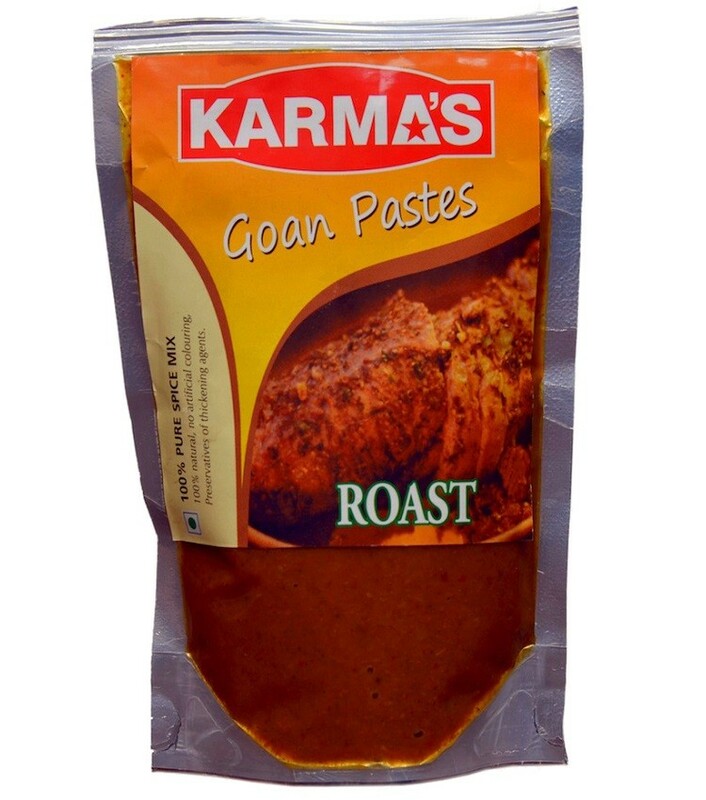 Buy Roast Masala Paste of Karma Foods from Margao online | Authentic Indian Sweet , Savories and Delicacies from the place they originate by Moipot. Roasting meat is a centuries old technique to make delightful dishes in Goa. 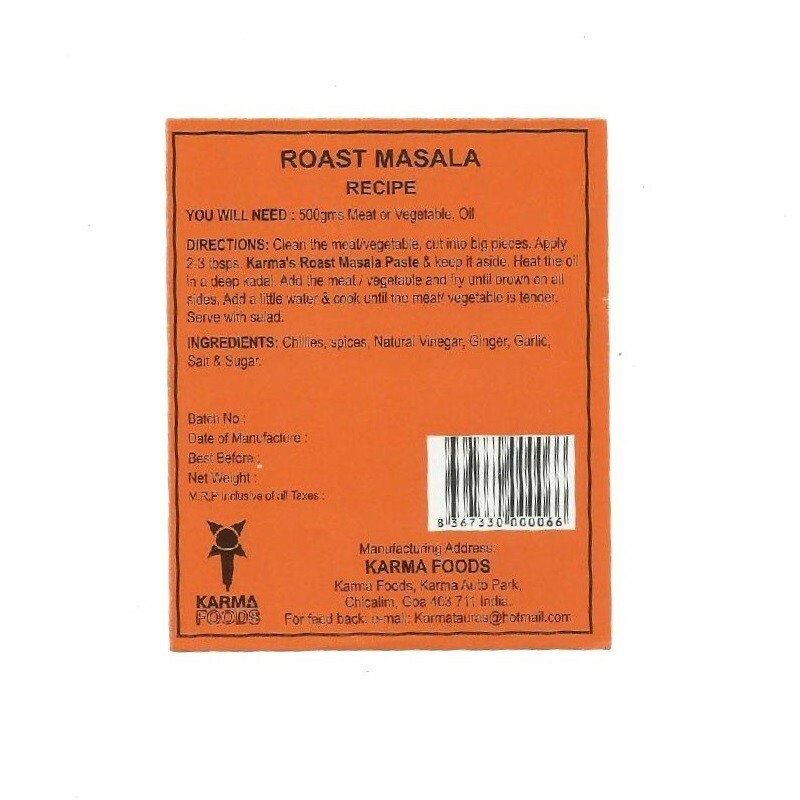 Marinate your chicken or meat with this special roast masala paste by Karma Foods to add that bliss in your daily cooking. A blend of myriad spices, condiments, white vinegar, and garlic, this masala has lip-smacking flavors with every bite and works deliciously well with all meat. Need we say more?